Here’s a hint: You have to be a mentor for yourself, before someone else can mentor you. I have been extremely fortunate to have attracted some truly phenomenal mentors in my life. 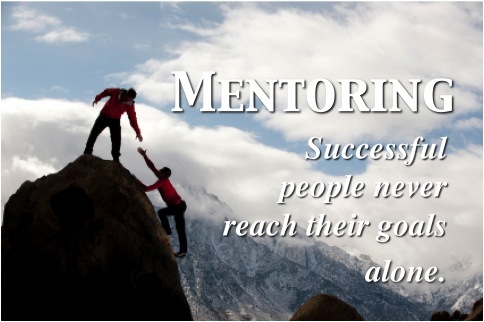 In fact, just about every success or skill set I have acquired has been the result of a mentor. Whether it was classical piano, video games, bodybuilding, music, marketing and advertising, I learned at a very young age that learning from a mentor speeds up the learning process ten fold. And not only does it speed it up, but it teaches you nuances about the craft in a way that is nearly impossible to learn in a more formal setting, like school. 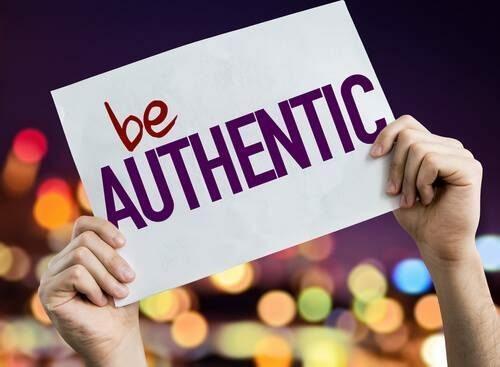 Especially in business and entrepreneurship, it seems everyone is looking for “a mentor.” To be honest, I don’t think most people even know what a mentor really is, let alone what to look for in a mentor–so let’s start there. A mentor is NOT someone who gives you all the answers. In fact, a true mentor is quite literally the opposite of that. You don’t learn by being given “the answers.” You learn by being given the space to discover the answers for yourself. The mentor’s job is to help give you an opposing force to practice against. They challenge you. They push you. They question you. They look out for you. Never with the intent of impressing who they are on to you, so much as giving you the opportunity to decide for yourself who it is you want to be. A mentor is your coach and training partner. I will tell you from personal experience that every mentor I’ve ever had, I becamethem. The relationship became so personal and so trusted that I found myself picking up things as subtle as the way they would quietly sit and listen, the way they would walk, the inflections they would use in their voice, everything. I stepped into their shoes so deeply that at some point along the journey, I realized I had gone too far, and it became a slow realization process that the goal is not to become a replica of the mentor, but rather an evolved form. The role of the student is to acquire all of the traits they want to have themselves, and then combine them with their own unique set of skills. So, how do you attract a true mentor? Not the way most people think, I’ll tell you that–and I say this from a place of experience, having attracted some of the greatest mentors in each desired field. Whenever people talk about “finding a mentor,” it’s always outward facing. They think it’s about asking to be mentored, or to stroke egos, or to be in the right place at the right time. And sure, every once in a while those tactics might get you somewhere, but at the end of the day they’re just tactics. They aren’t a real strategy for personal growth. The truth of the matter is that nobody worthwhile is going to mentor you until you start mentoring yourself. Mentors are people who are themselves fascinated by personal growth–and when they see someone with the same potential, they want to help nurture it. Why? Because it allows them to see something they have long felt was only within themselves, manifested in another. The mentor gains satisfaction in seeing his or her student grow. In order for a mentor to see that in you, you have to first cultivate that in yourself. You have to push yourself to grow, to learn, to develop. You have to have this aura about you that is constantly unquenched for knowledge. You have to be dedicated to your own self-development, so that a mentor can recognize it and know their time won’t be wasted. A mentor wants to know their investment in you will manifest into something great. Prove it by walking the walk on your own. If you already know, then you don’t need a mentor. In order to attract a mentor, you have to remain open to new possibilities. You have to constantly be willing to acknowledge what it is you don’t know, or still haven’t yet mastered. You have to be in a state of both confidence in yourself and child-like wonder. This is what really draws the attention of a mentor. If you aren’t teachable, nobody is going to bother with you. They might say you’re smart, or you’re talented, but they won’t take the time to share the depth of what they know. And it has nothing to do with your intelligence, or your ability. It has everything to do with your attitude. It’s amazing how attractive those qualities are to a mentor. So you’ve found a mentor. The relationship is a mutual exchange–you learn from them, and this gives you great satisfaction, and they see their teachings manifest in you, and this gives them great satisfaction. …only to realize how little they really knew. There is no “right” time to move on from a mentor. There is also no “wrong” time. If I look back at my own experiences, the roads always diverged on their own, and I have learned to just sit back in the canoe and trust in the process. But regardless of when you feel you’ve learned enough and it’s time to move on to the next mentor, realize the gift that person has given you. Take a moment to reflect on how patient they were, how willing they were, how much they cared to give their own time to your development. That’s a mistake I see a lot, and I mean a lot of students make, regardless of age. There is no appreciation for the time spent teaching, or the depth of knowledge shared. I see a mentor on my path as one of the greatest gifts life has to offer–and you should do. Building off that, when it is time to depart from a mentor, realize that you are about to enter into a period of self-reflection. Do not expect another mentor to just suddenly appear. It’s now your time to integreate everything you’ve learned even further and do some serious inward discovery. Once you’ve made some serious progress getting back to mentoring yourself, your next mentor will him or herself known.